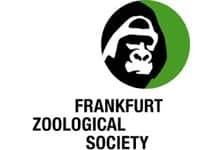 Frankfurt Zoological Society (FZS) works for a world in which biodiversity values are recognized and maintained to ensure a high quality of life for current and future generations. Its goal is to work with and for people to secure biodiversity in key ecosystems worldwide as the basis for all life and the livelihoods of present and future generations. FZS maintains long-term conservation programs in Africa, South America, Asia and Europe. The Africa Program is the Society’s largest and oldest and works in six focal countries: Tanzania, Kenya, Democratic Republic of Congo, Ethiopia, Zambia and Zimbabwe. Perspectivity has worked with FZS Ethiopia and the FZS regional office Africa in Tanzania.